A broken dishwasher is a nightmare for many home owners. Dishes need to be cleaned on a daily basis, and with a dishwasher that’s not working properly — or at all — your kitchen can quickly become buried in dirty dishes. Problems like a leaky dishwasher, one that doesn’t clean dishes, or doesn’t fill with water may have you worried about having to run out and buy a new unit, but don’t worry: many dishwasher problems can be repaired simply by replacing parts or even just cleaning the appliance properly. We’ve identified several of the most common — and solvable — dishwasher problems you are likely to experience. Find out if your dishwasher woes have a simple solution. The problem: Your dishwasher doesn’t clean well. How to fix it: A dishwasher that doesn’t clean dishes is hardly a dishwasher at all. Make sure that your dishwasher isn’t dirty to begin with, checking the strain screen, sprayer arms, and door gasket for food particles, grease, and other debris. Run a cleaning cycle using dishwasher cleaner and without dishes to see if it helps. You may also have low pressure from spray arms. If you have hard water, you may have buildup that should be cleaned off. Inspect the spray arm and ensure that it can move freely without obstruction. If it is worn, replace it. Another problem could be the upper discharge housing gasket, whether it is loose or needs to be replaced. And of course, you may need a higher quality of detergent, or your detergent is too old from sitting in a cabinet longer than three months. The problem: Your dishwasher is noisy. How to fix it: Unless you have an ultra-quiet dishwasher, most dishwashers will make some noise. But if your once quiet dishwasher is now making a racket, you may have a problem. You could have a defective pump, or simply need to replace the wash arm seal or bearing ring. Another possibility? Your spray arms aren’t turning properly and may be hitting racks or dishes and need to be replaced. The problem: Your glasses come out white or cloudy. How to fix it: Glasses that come out white or cloudy typically have hard water build up. Consider using a special hard water detergent or use more regular detergent. You may also benefit from a whole house water softening system for your dishwasher and other appliances. The problem: Dishes come out spotty. How to fix it: Consider using a rinse aid if your dishes come out with spots on them. Rinse aids will stop water from sticking to dish surfaces. The problem: Your dishwasher won’t drain. How to fix it: A dishwasher that is still full of water from not draining can hold your dishes hostage and cause flooding in your kitchen. It’s a big problem. Take a look at the assembly of the check valve in the drain sump. If it is not moving properly, be sure to replace it. You should also consider updating the drain pump or motor, and take a look at obstructions for the drain flapper and solenoid. The problem: Your dishwasher door won’t latch. How to fix it: Your door latch is one of the most used exterior parts of a dishwasher. If this is not working properly, check the door catch for wear, as well as the electronic control. Consider replacing the latch or catch so that it will work properly. The problem: Your dishwasher is leaking. How to fix it: This is one of the most dreaded dishwasher problems, and can even cause serious damage to your home. First, check the drainage hose for cracks and other damage, as well as the gaskets in the heating element. A leaking dishwasher is another problem that can be caused by a defective pump or pump seal. Consider changing out the seal, or if necessary, replace the pump. But before you do that, take a look at the door gasket. If it has become brittle or looks like it’s not sealing properly, replace it to see if you can get a better fit. The problem: Your dishwasher smells bad. How to fix it: If you smell odors after your dishwasher is done, look out for trapped food and grease. This will be located in the strainer screen, as well as in the jets in the sprayer arms and along the bottom edge of the door. Clean these parts of any food debris and grease, then run a full cycle with no dishes. Consider adding a dishwasher cleaner or disinfectant. In the future, be sure to rinse dishes of grease and large food pieces before starting your cycle. The problem: Your dishwasher won’t fill with water, or it won’t stop filling. How to fix it: Your dishwasher needs water to operate properly. Take a look at the water inlet valve, and consider replacing it. You should also inspect the float and the float switch. These parts tell the dishwasher that it has the adequate amount of water, and they may have debris that keep them from working properly. Another option? Make sure the water is turned on by checking your hot water supply stop valve under your sink. A dishwasher that won’t stop filling may have a faulty float switch, a timer stuck on fill, or a water inlet valve that is stuck open. The problem: Your dishwasher won’t start. How to fix it: Take a look at fuses and circuit breakers to make sure they have not blown or tripped, and it’s a good idea to make sure your dishwasher is plugged in properly as well, inspecting wiring for damage. Another option: dishwashers that won’t start may have a faulty door latch or door latch switch to blame. If your door isn’t properly closed, the dishwasher will not start. If your latch is fine, check the timer or electronic control, especially if your drain pump motor isn’t starting up. The problem: Dishes aren’t properly dried. How to fix it: The most probable explanation for a dishwasher that won’t dry dishes is the heating element. Using a multi-meter, check the heating element to make sure it is working properly. Check your high limit thermostat with a multi-meter for malfunctioning as well. The problem: Your wash cycle takes too long or doesn’t complete. How to fix it: This is likely a problem with the timer motor, thermostat, or heating element. All should be checked with a multi-meter. The problem: Your dishwasher won’t use detergent. How to fix it: Your dishwasher’s detergent dispenser may not release detergent properly simply because it is clogged with caked on detergent. Clean it, and make sure that it opens easily for you, or replace it. The problem: Racks won’t roll out. How to fix it: Check rollers or wheels for damage if your racks aren’t moving properly. You can order replacements if necessary, or just dix the alignment of the rack. 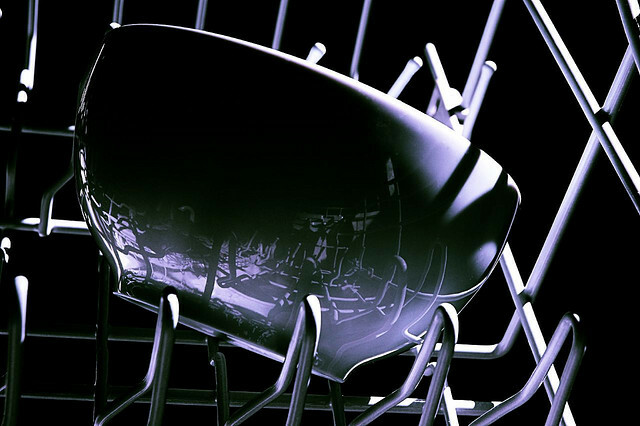 The problem: Your dishwasher is cracked. How to fix it: Unfortunately, there is no fixing this problem — at least not easily. For most homes, a dishwasher with a cracked inner body will need to be completely replaced, as it can leak water and soap into mechanical parts: a dangerous situation.